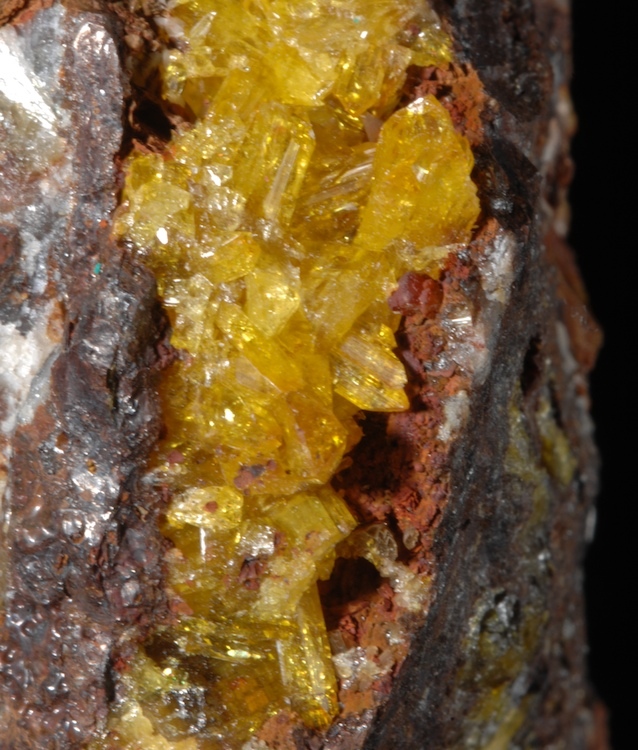 An excellent Pyromorphite in fine condition from the now classic Bunker Hill mine. Excellent color with both bright yellow and orange zones. 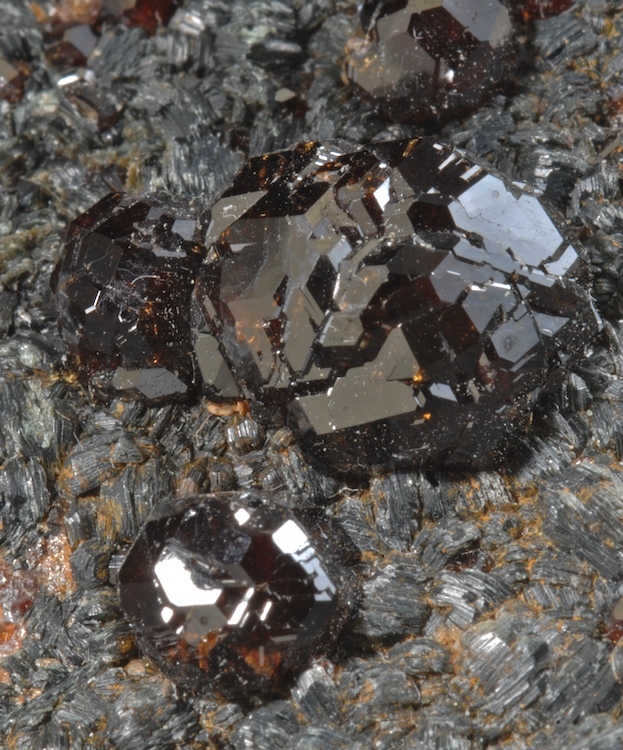 Two generations of crystals are present most with wet look luster. Sharp hexagonal barrel type crystals to nearly 2 CM are the first generation, some are hoppered but most have flat terminations. The last generation of sparkling micro crystals on top adds a nice touch. Better in person this can be displayed from almost any angle. A very rare specie from Mina Ojuela ex Charles Noll, Crawford and Seaman Museum. etc. 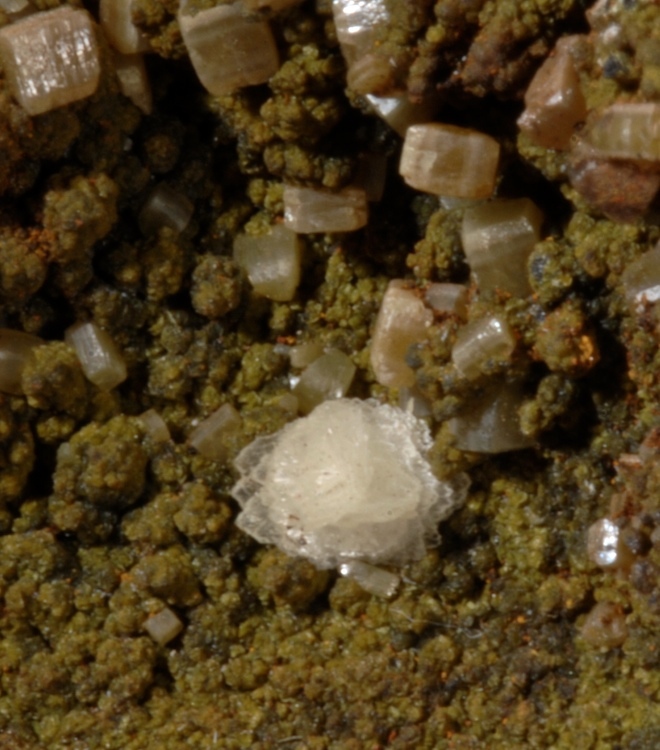 A transparent white crystal spray sits nestled in a mossy green matrix of Mottramite and characteristic Ojuela blocky Wulfenite. 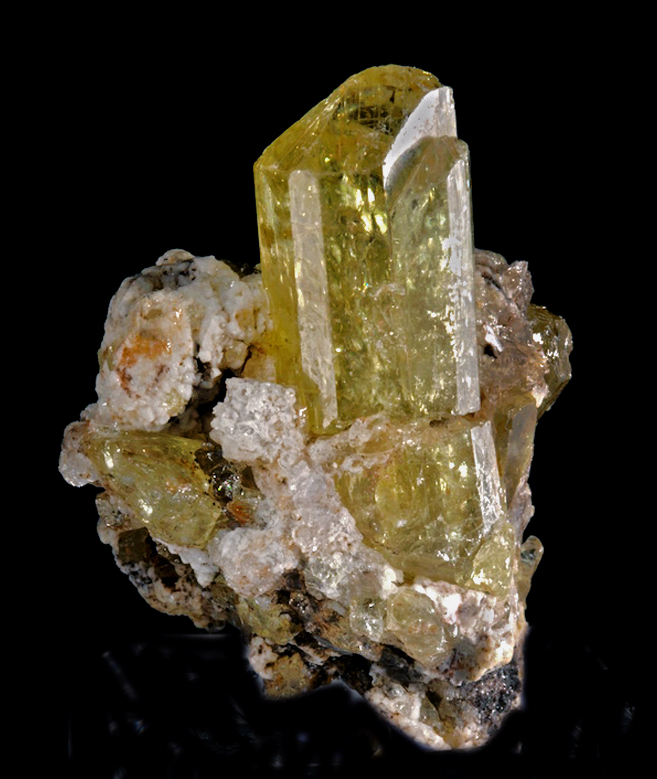 Better known from Tsumeb where it is one of the rarities sought much sought after, however the type locale for this mineral is in Alamos, Mexico. An older Apatite from Cerro de Mercado that presents a fine 3.5 CM gemmy crystal well exposed on matrix. This locale was a prolific source of these Apatites although most were much less clear than this and few on matrix. Rich yellow-green (asparagus) color. A choice piece in good condition that looks better in person. One old rehealed break is seen in the main crystal. A nice example. 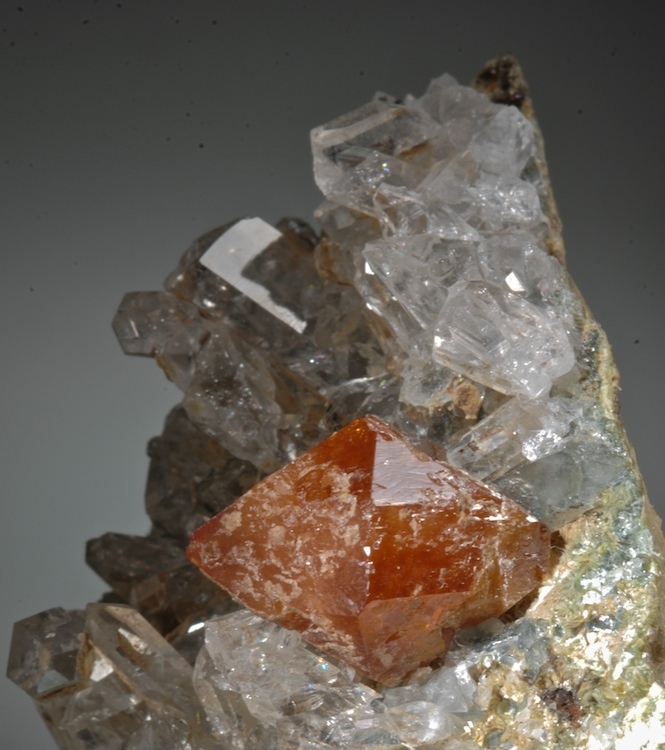 A choice specimen with a single doubly terminated Scheelite nicely perched on contrasting clear Quartz crystals. The Scheelite is quite sharp, gemmy and richly colored. A few small Quartz at the edges are broken but the Scheelite and most Quartz are in perfect condition damage wise. This is from a find in Pakistan over 5 years ago that was briefly big mineral news. The find was small and the specimens have all disappeared. The Scheelte is very well presented- it sits well up on the matrix and has excellent contrast. Even better in person. 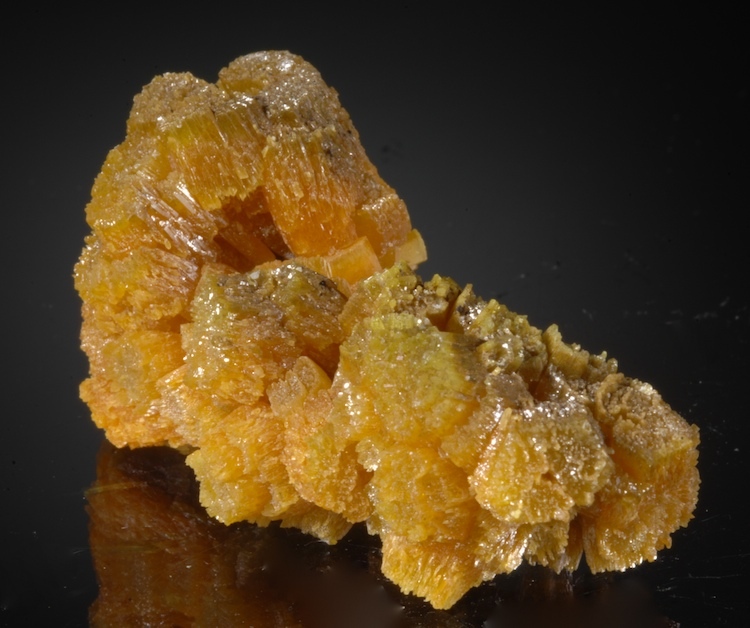 Gem clear bright yellow crystals of the Legrandite in several vugs on a Gossan matrix. A sprinkling of slender white Smithsonite crystals are also in some of the vugs as well, along with micro crystals that I can not identify. 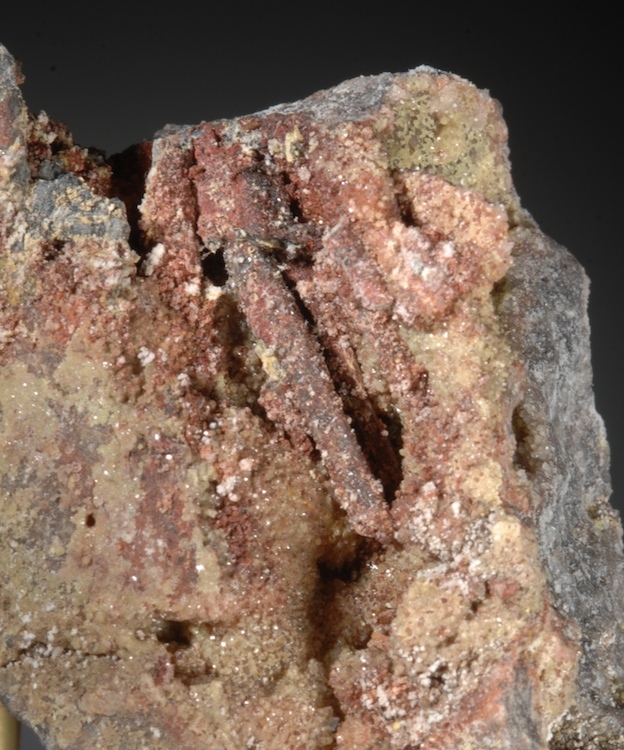 Many Legrandite crystals are perfect, undamaged and highly lustrous, but this is not a specimen for perfectionists since there are also some broken crystals in a few areas. For such a delicate mineral the condition overall is incredible, especially since some crystals protrude outside the protective vugs. Displays nicely but could be trimmed to make top notch thumbnail(s) if desired. As a rule these older Legrandites are very expensive even with some damage, this one is quite reasonable. A well formed specimen of both Sphalerite and Pyrite from a location not seen very often but has produced some fine things like this. Great three dimensional structure and separation of individual crystals, this is as good an example as I have ever seen from this remote locale. 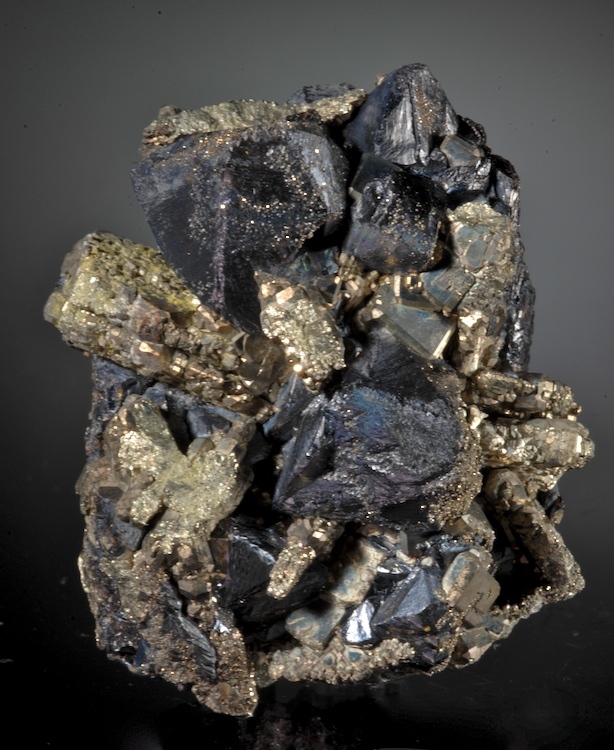 In very good condition, the pyrite are in several habits and forms while the Sphalerites reach up to 2 CM and have nice rounded faces. A really nice small cabinet piece.